While the Nirali Memorial Medical Trust (NMMT), a public charitable trust founded by Naik to carry out philanthropic activities in medical care, will set up the hospital, the Tata Trusts will manage operations of the facility. 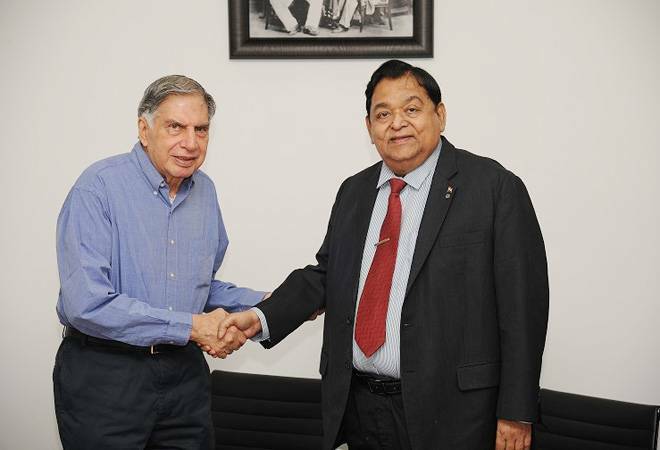 NMMT and Tata Trusts today signed an agreement to this effect in the presence of Naik and Ratan Tata, said a press release. The proposed hospital at Navsari, the birthplace of Naik and Tata group founder Jamsetji Tata, is targeted at needy sections of society in their fight against cancer and the hospital will be built on land long associated with the Tata group. The comprehensive cancer care hospital will have advance cancer treating facilities that range from clinical pathology, high-end linear accelerator, histopathology, biochemistry, USG, digital X-Ray and mammography to CT simulators, Brachytherapy OPDs as well as operation theatres. The upcoming centre will also be part of the network of cancer centres being established by the Tata Trusts across the country. Named in the memory of Nirali, granddaughter of Naik who passed away due to cancer at the age of two, NMMT was set up by the Naik family to help cancer patients, especially those who do not have access to quality treatment. NMMT already runs the 'Nirali Memorial Radiation Centre' in Surat and provides modern medical facilities at Kharel Hospital in Gujarat The Trust has also setting up a A.M. Naik Charitable Health Centre at Powai that focuses on providing access to quality medical care to local communities of Mumbai at affordable prices. Along with NMMT, Naik also runs the Naik Charitable Trust (NCT), focused on providing quality education services to the underprivileged sections of the society. The 76-year-old Naik, now in a non-executive role at L&T, had pledged over 75 percent of his wealth for charity. On September 7, 2016, data compiled by BloombergQuint had estimated Naik to be worth Rs 403 crore, the value of equity and stock options, excluding the total remuneration he receives as the director of L&T. Naik was paid Rs 38.04 crore as retirement benefits last year, which included encashment of accumulated past service leave of Rs 32.21 crore. He had sold some shares in L&T in a series of transactions worth near Rs 72 crore in March 2014.